Will help law enforcement in more accurate records. WASHINGTON, DC: Michigan State University (MSU) scientist Anil Jain is one of the key men behind a radical new technology that has built the world’s first-ever three-dimensional fingerprint. Using a 3-D printer, Jain’s technology creates a fingerprint “phantom” that can then produce a three-dimensional model of a human fingerprint from an original two-dimensional image. The technology is significant because it will allow law enforcement to create more accurate records of people’s fingerprints – which are a defining attribute of each person, since no two prints are identical – and can also improve security technology. “Tools like this would help improve the overall accuracy of fingerprint-matching systems, which eventually leads to better security in applications ranging from law enforcement to mobile phone unlock,” Jain said in an article published by MSU. Three-dimensional models and projections of human body parts are not entirely new – models of kidneys and hearts, among other things, have been produced for a number of years – but to take an entirely flat thing like a fingerprint and make it into something three-dimensional is big news. Being able to accurately map the grooves of a print will make each one even more unique, and will make sorting through fingerprints in law enforcement databases faster and more reliable. Jain is currently a University Distinguished Professor in the Department of Computer Science & Engineering. He earned his B.Tech degree from the Kanpur branch of the Indian Institute of Technology in 1969, and completed his M.S. and Ph.D. degrees at Ohio State University, earning them in 1970 and 1973, respectively. He has six US patents on fingerprint matching currently to his name, and has written a number of books on biometrics and fingerprint/facial recognition. 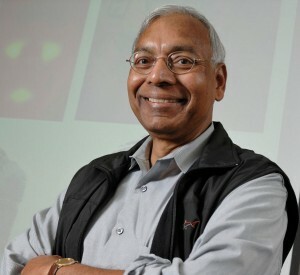 Additionally, Jain has received a number of prestigious awards over the course of his career, such as the Guggenheim fellowship, Humboldt Research award, Fulbright fellowship, IEEE Computer Society Technical Achievement award, IEEE W. Wallace McDowell award, IAPR King-Sun Fu Prize, and IEEE ICDM Research Contribution Award for contributions to pattern recognition and biometrics.